Ilya Izmaylov was born in Kiev, Ukraine in 1998. He began to study music in St. Petersburg at age five, first on piano. When he was six he entered violoncello class of Associate Professor Alexei Vasiliev in Special Music School (college) of the St. Petersburg State Conservatory named after N. Rimsky-Korsakov. Now he continues his studies in the St.Petersburg Conservatory. He took part in Master-Classes with Jens Peter Maintz, Peter Bruns, David Geringas, Wolfgang Emanuel Schmidt, etc. 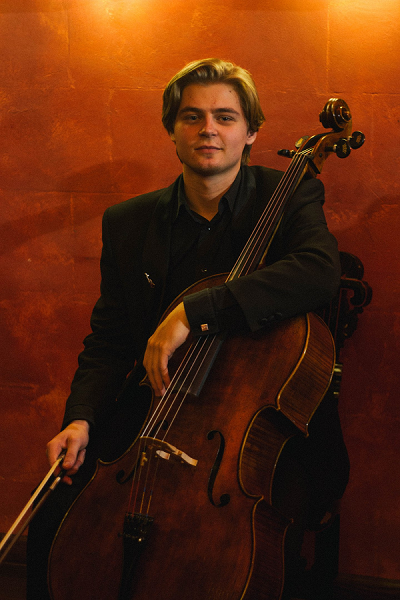 Ilya appears constantly as a soloist and in chamber ensembles in Russia, Estonia, Izrael, Slovenia, and Germany, Austria and Switzerland. If you are interested in working with Ilya, please get in touch with the EMCY Office.